We hope you will find the following information helpful. 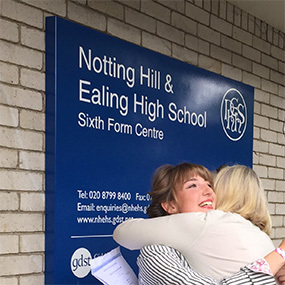 Please do not hesitate to contact contact the Registrar, Miss Lauren Smith on on (020) 8991 2165 or email enquiries@nhehs.gdst.net if you have any questions. She will be happy to help. To apply to NHEHS you should fill in the application form (available here or in the prospectus) and return it with a passport sized photo of your daughter and the registration fee by 30 November 2018. Please note that an individual application must be made to each Consortium school for which you wish to apply. The test date is the same in all Consortium schools i.e. 11 January 2019. 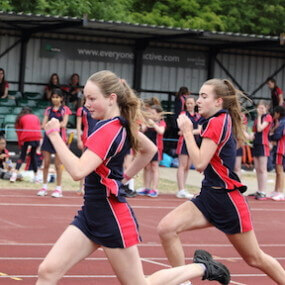 The test can be taken at any of the schools in the London 11+ Consortium to which you have made an application. 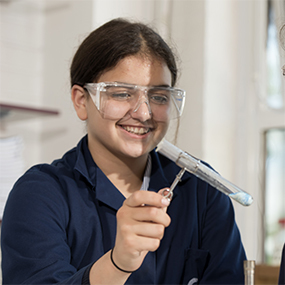 When making applications to Consortium schools you will be asked to state your preferences regarding where you wish your daughter to sit the test. The test takes 75 minutes (this is only the paper itself, not any pre-test practice session). There will be a 30 minute break with refreshments midway through. We want every girl to show us the best she can do so we try very hard to make your daughter feel as relaxed as possible. The test is administered under examination rules so the morning begins with a run through of how to complete your test paper, a check that everyone has the correct paper with their name printed on it and that everyone has the necessary pencil, rubber and pencil sharpener. The test is be run by our own teachers who are experienced in working with girls your daughter’s age and who will do everything possible to make her day a positive one. You will be sent arrangements regarding drop-off and pick-up times in December once applications have closed. If your daughter has previously been assessed as being entitled to extra time in examinations, or has other particular special needs, parents should let us know well before the examination date so that we can make the appropriate arrangements. At NHEHS we interview all our applicants in order to gain a complete picture of each girl. The interview is an important part of our selection process helping us to identify those who will thrive, academically and otherwise, here. One of the fundamental aims of the school is for our students to be themselves. We are looking for girls with an inquiring nature. We don’t have a type. In the NHEHS interview, which lasts around 20 minutes, your daughter will be asked about her academic and extra-curricular interests. There are questions designed to challenge academic understanding but these cannot be prepared for and it is more important to us to look for academic potential over someone who knows a lot of facts. We try to make the experience as enjoyable as possible for your daughter and we also allow her to ask some questions so that she feels part of the process. There is no need for your daughter to bring anything with her to the interview. Interviews are usually held in January and details of the dates and other arrangements are sent out to parents in December once applications have closed. We will approach your daughter’s current Head Teacher for a reference. The reference, taken together with her test result and her interview, ensures that we have a rounded picture of your daughter and can make an informed decision. 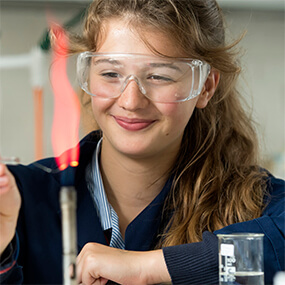 Scholarships are awarded at Year 7 entry for girls showing outstanding academic potential as judged by performance in the entrance test and all girls taking the test are automatically considered for one of these awards. There is no separate scholarship application form or scholarship test. You can find more information here along with details of the 11+ Music Scholarships. The results of the entrance procedure will be posted to parents on 14 February 2019. 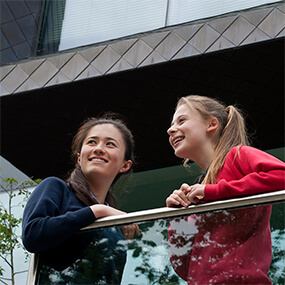 Those wishing to accept the offer of a place must notify the school in writing, by the deadline date of 5 March 2019. Once a place has been offered and accepted a deposit of £1000 (non-refundable) is payable to confirm the place.